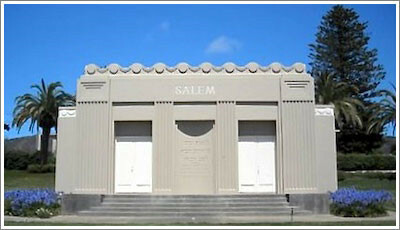 Congregation Beth Israel established Salem Memorial Park in 1877 as a designated portion of San Francisco’s City Cemetery near Ocean Beach. Two years after Hills of Eternity and Home of Peace moved from San Francisco to Colma, Salem became the third Jewish cemetery to relocate to the foot of the San Bruno Mountains. Located on fifteen acres of beautifully landscaped gardens and gentle slopes, Salem offers the choice of traditional ground burial, or above ground niches and crypts in the outdoor mausoleum. Jewish war veterans who have bravely served our country from the Revolutionary War to current conflicts are honored with a dramatic granite memorial located at the entrance to the Salem Garden Mausoleum. The six million victims of the Holocaust are remembered on a moving memorial stone in the center of the cemetery. 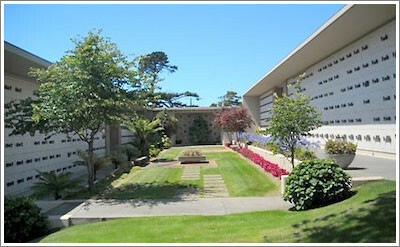 Congregation B’nai Emunah and Congregation Ner Tamid have designated sections in the cemetery, in addition to the many plots for families from Congregation Beth Israel Judea.